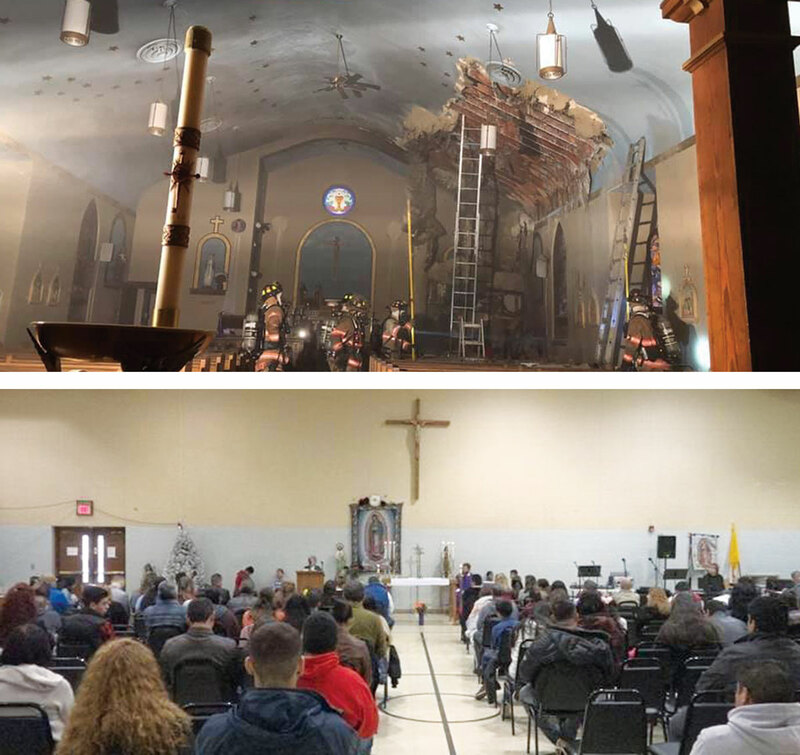 Our Lady of Guadalupe Parish, Sioux Falls, endured a fire shortly before Christmas on December 19. But now, the parish is coming back, “rebuilding our community and church,” according to Father Kristopher Cowles, pastor for the parish. The pastor and parishioners pivoted quickly in setting about to keep the Christmas season, the parish’s many celebrations and the traditional reenacting of the journey of Joseph and Mary to Bethlehem all on track. The cleaning and restoration work is already underway and making progress. Father Cowles has also offered many thanks to those who have supported the parish’s comeback and rebuilding effort through prayer and donations of time, talent and treasure. Help is still being sought and accepted by calling the parish at 605-338-8126 or via email at olgparish@sfcatholic.org.